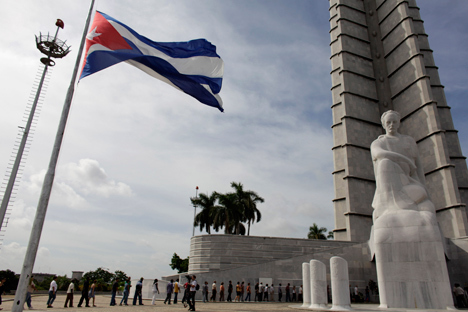 The Russian government has approved the draft intergovernmental agreement submitted by the Energy Ministry on construction of power units at Cuba's Maximo Gomez and Eastern Havana thermal power plants, according to an instruction posted on the government's legal information portal. The document stipulates construction of one 200-megawatt power unit at Maximo Gomez and three 200-MW units at Eastern Havana. The project will be implemented by Russia's Inter RAO Export LLC, a subsidiary of Inter RAO UES and Cuba's Energoimport, part of Union Electrica. The terms of the project will be spelled out in the contract on upgrading the capacity of the power stations. Under the terms of the agreement, Cuba will exempt Inter RAO and contractors from payment of profit taxes and customs fees, and their employees will be exempt from individual income taxes. President Vladimir Putin said in the summer of 2014 that Inter RAO might take part in the project to build new capacity at the Eastern Havana and Maximo Gomex power plants. Inter RAO Export, a wholly owned subsidiary of Inter RAO, engages in export of power equipment, to Latin America and elsewhere.